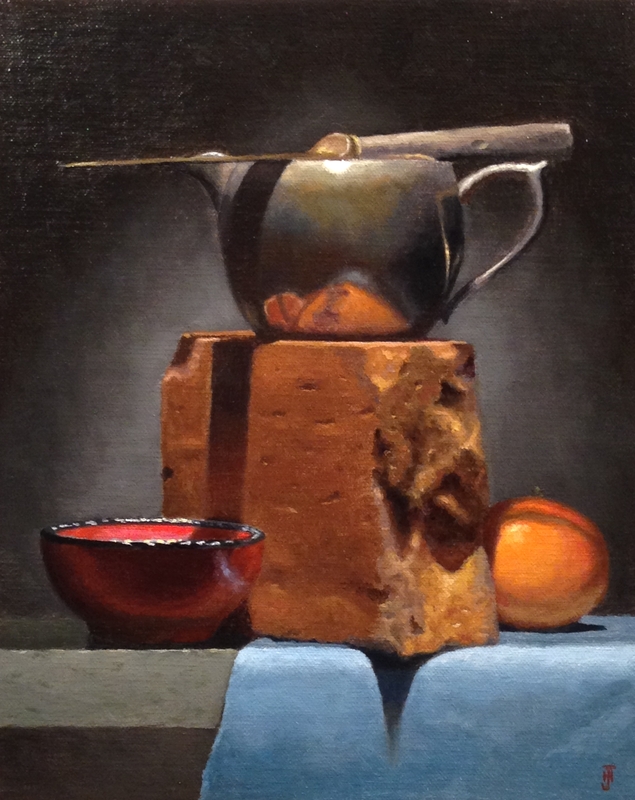 Jeffrey Hayes creates vibrant, glowing still life paintings in the classical tradition. 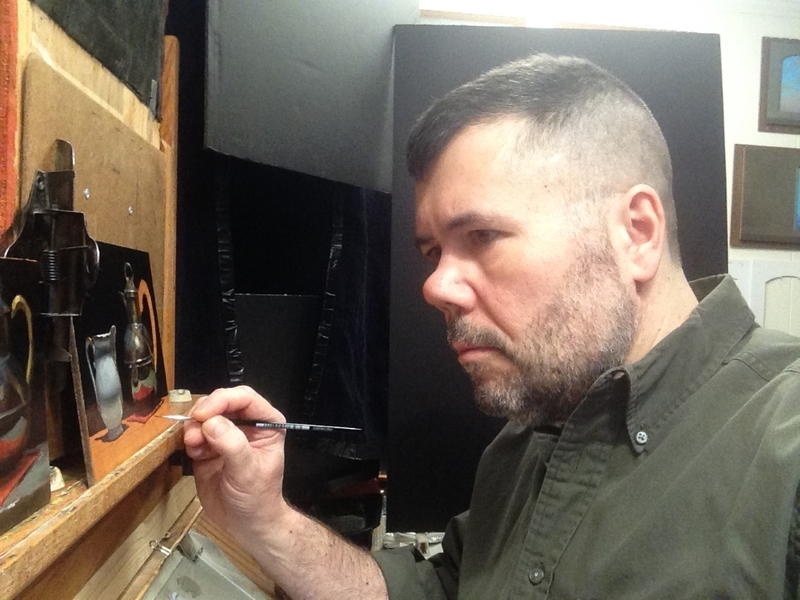 His works are painstakingly crafted to the highest standard, using time-tested methods and the finest materials available. His path to finding his calling as an artist was indirect. A lengthy education in music led to a more practical career as a computer programmer. For his 30th birthday, he decided to indulge his lifelong curiosity about art by purchasing a simple oil painting kit. A 10-year period of intensive learning and practice followed. This culminated with the decision to leave his successful technology career and devote his life to painting. He lives and works in a beautiful small New England town. From his busy studio, he produces a steady stream of new works and commissions that delight his loyal and growing base of collectors. Over the years, these collectors have acquired approximately 800 of his paintings. Painting is a resounding affirmation. It tells us that beyond the chaos and strife of everyday living, there is beauty, grace, and elegance if we know how to seek it. This ancient and noble craft reveals to us a clear vision of what is good in the world, and the better selves we all aspire to. 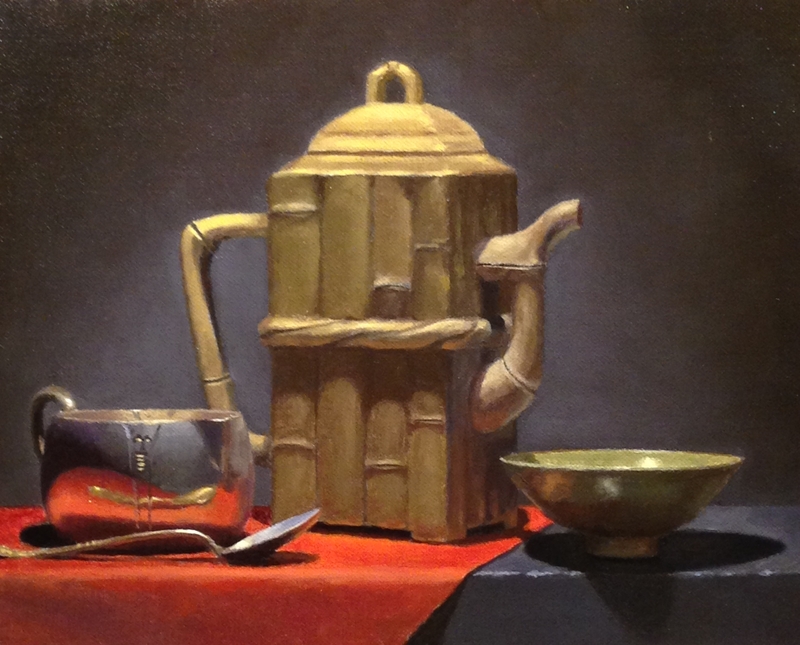 Still life is an extended meditation on these themes… for artist and viewer alike. Painting still life is, at heart, an alchemy of sorts. It allows us to transmute the humble materials of oil, pigment, and canvas into a grand illusion of shimmering light, profound stillness, and gracious refinement. It even has the strength to transmute that illusion into inspiration and transformation. I strive to practice this art with the high ideal of empowering those who encounter my work to see something of that beauty, grace, and elegance within themselves. Indeed, the highest compliments I receive come when long-time collectors tell me how fortunate they are to live with my paintings.